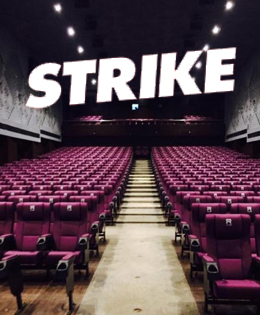 Multiplexes in Chennai went on strike on 3 October to protest against the levying of an additional tax over and above the Goods and Services Tax (GST), the Multiplex Association of India (MAI) announced. For the uninitiated, the Chennai Corporation had recently decided to levy an additional tax of 20% over non-Tamil films and 10% on Tamil films. In a statement released, the association had said, “MAI believes that this levy of LBET by the Chennai Corporation leads to double taxation on an industry which is already reeling under the impact of high tax rates and piracy, and could well sound the death knell of the film industry.” The decision is bound to impact national theatre chains in the city such as PVR and INOX. Deepak Asher, President of the Multiplex Association of India, said, "We most humbly appeal to the Honorable Chief Minister of Tamil Nadu, Edappadi K Palaniswami and the Commissioner of Greater Chennai Corporation D Karthigeyan to kindly consider our request favorably and withdraw the LBET levied on the film exhibition industry in Chennai immediately." He added that such withdrawal will ensure the survival of the film industry, and will support an environment of "safe, secure and and wholesome entertainment option" for the population of Chennai. Meanwhile the Tamil Film Producers Council has decided not to release new Tamil movies from Fridayin protest against the levy of 10 per cent local body tax. Noting that film producers were facing difficulties after the implementation of the Goods and Services Tax from July 1, the council in a statement said the announcement of levying an additional 10 per cent local body tax has come as a 'shock' to the industry. There's been a 28 per cent GST on films. “This is shocking. Will the government ensure to curb piracy completely if we pay the 10% tax? We will accept it if the government can assure that. We will submit a plea soon to the government,” Tamil Film Producer Council President and Nadigar Sangam General Secretary Vishal had said.